Sinister Visions News and Updates: Attention Haunters! Your Halloween Haunt or Display Could Be Worth $50K! Attention Haunters! Your Halloween Haunt or Display Could Be Worth $50K! When ABC wanted to reach out to home haunters in the Chicagoland area, they approached Zombie Army Productions and HauntedHouseChicago.com to help spread the word about The Great Halloween Fright Fight, from the producers of ABC’s “The Great Christmas Light Fight”! Is your haunted display or walkthrough attraction worth $50,000? 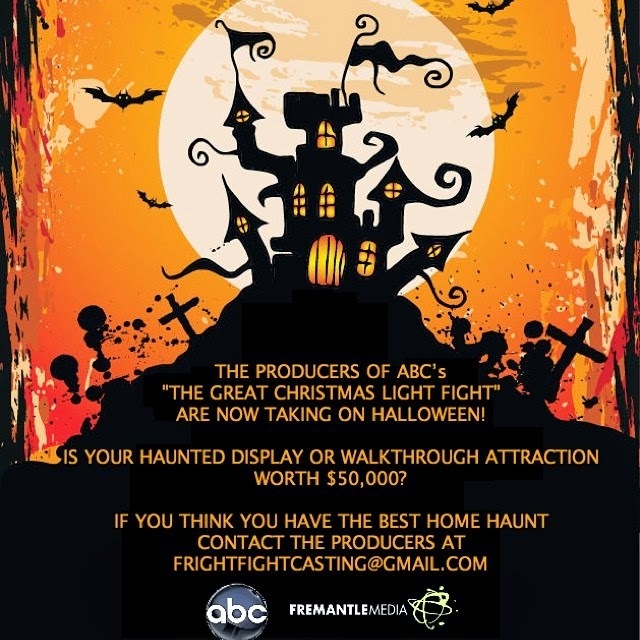 If you think you have the best home haunt, contact the producers at frightfightcasting@gmail.com! Not much information has been released yet, but there's a little more info HERE.